WASHINGTON, D.C. — When Alabama native George Curry was among the rising ranks of students in the 1960s of a then vibrant Knoxville College, little did he know he would spend his adulthood after college as an increasingly influential trailblazer around the world. President Bill Clinton and wife Hillary, Julian Bond, Maya Angelou, Andrew Young, John Lewis and Kemba Smith. The list goes on as do the piles of news stories and columns Curry penned in which he took issue with public policies and practices, legal and illegal, that served to undermine the ability of Black Americans and other minorities and poor to be respected and treated as equal partners in society. This week Curry is being written about in newspapers circling the globe and talked about on high profile radio and television programs across America. The comments from Mrs. Clinton to the chairman of the Congressional Black Caucus to Jackson to Smith to countless nameless people on America’s streets were spurred by Curry’s sudden death last Saturday. He died at a suburban Washington, D.C. hospital after suffering a heart attack. He was 69 year old. the Knoxville College football team, was editor of the college paper. They met at a summer journalism camp in Atlanta held by then Clark College, Lewis said. Both became newspaper reporters upon graduation, Lewis recalled, seeing one another at various journalism gatherings in subsequent years. Before completing his studies at Knoxville, Curry would expand his abilities through summer history scholarships at Yale and Harvard Universities, according to his biography. “George kept going until the end,” said Lewis, reflecting upon Curry’s work and achievements. “He was like Alex Haley,” Lewis said. “Both had a hard time saying no to people,” said Lewis who came to know Haley after Haley’s book “Roots,” drew the author international acclaim. Lewis said he remembers the day after Alex (Haley) died, Lamar Alexander (not yet elected to the U.S. Senate), who had befriended Haley over the years, said “We used him up. I thought about the same thing with George (Curry),” said Lewis. I guess he was just one of those people who had a hard time saying no to people. He (Curry) wanted to give everything he had,” Lewis said of Curry. Indeed a look at Curry’s career showed he was among the generation of people who did their best to make good on the news business paths carved by the pioneer generation of black journalists that preceded him, people like the late Robert Churchwell, William A. Reed Jr. and Leonard Thomlinson. Curry, one time editor of The Aurora, the college’s student paper, and quarterback of its college football team, was being hailed for his achievements as a noted newspaper journalist, magazine and news service editor, civil rights advocate, mentor of aspiring journalists and author. After completing his studies in 1970 at Knoxville College, the Tuscaloosa, Alabama public high school graduate, was one of the first Blacks hired as a full-time reporter for Sports Illustrated magazine. In 1977, he left SI for the St. Louis Post Dispatch where he worked until 1983. During that time Curry, a history major in college, authored his first book, “America’s Most Famous Black Coach,” a biography of legendary college football coach Jake Gaither. He also started, in 1977, the Saint Louis Minority Journalism Workshop, one of several such programs he would launch or work with in subsequent years around the nation, including New York City and Washington, D.C. In 1983, Curry was stolen by the Chicago Tribune for which he worked for a decade as a Washington Correspondent then New York bureau chief. Those assignments put him on travel around the world and also covering the 1988 national presidential election contests in which the Rev. Jesse Jackson, then based on Chicago, made a serious bid for the Democratic nomination. From the Tribune, Curry leaped into the magazine world as editor-in-chief of Emerge Magazine, a relatively new national monthly founded by the late Wilmer Ames, the Time Magazine editor who founded Emerge as a serious news alternative to Ebony magazine. Curry had freelanced for Ames and the two developed a good working relationship making Curry an easy choice when Ames opted to step down. “He was a good editor, a different kind of editor,” said veteran Washington editor Flo Purnell, the first person Curry hired to work with him on Emerge. Purnell had been a copy editor for USA Today. Curry wanted her to be managing editor of a national magazine with a circulation of more than 100,000 Purnell remembered. “George could pull in the broad view,” Purnell recalled this week in a telephone interview. “I knew how to think and plan ahead,” Purnell recalled. Curry and Purnell crafted issues month after month that grabbed attention. They included cover pictures mocking President Reagan’s choice of attorney Clarence Thomas for a seat on the U.S. Supreme Court, ostensibly replacing the late justice Thurgood Marshall. The stories were accompanied by biting reporting on Thomas. Curry would lead coverage of ‘cyber hate,’ working with the Southern Poverty Law Center to produce one of the first national stories about hate online. The magazine continued work on civil rights murders in the South and did detailed reporting of backers of the Federalists Society, the low profile conservative political action organization. Winning widespread acclaim for their courageous work, Curry and his small team of editors, fact checkers and freelance writers and photographers often worked late nights and many weekends to produce the magazine. While running the magazine and championing such issues as the emerging campaign against mandatory minimum sentences, Curry made time to volunteer as a member of the board of trustees of Knoxville College. It had taken a turn for the worse in terms of enrollment and income. By the time he became the chairman of the university’s board, the institution was nearly broke. Curry was as surprised as the magazine’s readers when owner Robert Johnson, founder of BET Television, decided in 2003 to sell the magazine to two entrepreneurs who wanted to take the magazine in an Ebony magazine director. Within months Curry, his crew and his journalism were gone. A few years later the magazine, having won some 40 national magazine awards, was gone too. Publisher Rosetta Miller Perry is a member. 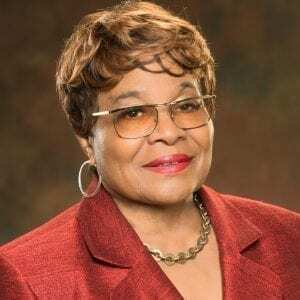 Her newspaper regularly published Curry’s syndicated column on issues of importance to the general public, especially issues that are affecting people of color negatively. “Jason Luntz, social media director, who worked directly with Tennessee students under George’s direction is devastated,” said Perry of the loss of Curry. “Not only had he served twice as editor of the news service, Curry had also served as manager of the organization’s annual journalism competition for more than a decade,” Perry said. “The Tennessee Tribune grieves the loss of our well respected national and international journalist and we offer Ann and his entire family our sincere condolences,” said Perry. Curry is survived by family, and his life mate of more than a decade, Anne Ragland. George Curry was a good friend and true journalist who understood his responsibility to the African American community and the power of his words to create impactful change. He was a celebrated standard bearer within the profession who believed very deeply in the Black press and its role in documenting the untold stories within our communities. When mainstream publications ignored the major tragedies or achievements encapsulating Black lives in America, we could always count on George to help ensure black news became mainstream news. Long before social media, George’s magazine, Emerge, was our collective platform for provoking thoughtful discussion on the many challenges facing our community. I recall, in particular, George’s editorial campaign in the press to win the release of Kemba Smith, a woman who was sentenced to 24 years in prison under a harsh mandatory minimum sentence for a minor and nonviolent role in her boyfriend’s drug-related offense. Under George’s leadership, Emerge ran a cover story in 1996 detailing Kemba’s unduly harsh treatment in our criminal justice system. Kemba was ultimately pardoned by President Bill Clinton in 2000. Since that time, Kemba has continued to tell her story during a panel on criminal justice that I host every year during the Congressional Black Caucus Foundation’s legislative conference. I remember George attending this panel one year and how moved Kemba was to see the man who fought so tirelessly for her release. George was indeed a legendary figure. He was a very honorable man who respected journalism as one of the cornerstone institutions of our democracy. He understood and utilized the power of the press to change people’s lives for the better. 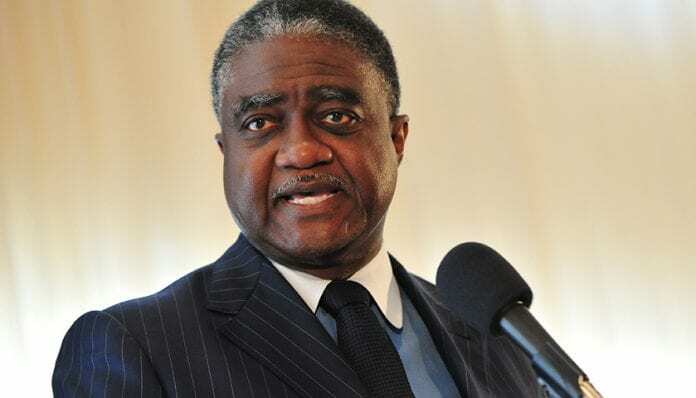 George Curry dedicated his life in service to the African American community and will be dearly missed for his countless contributions to the advancement of social justice and civil rights. George was among the brightest stars among black journalists who came of age during the civil rights and Black Power movements. He kept the flame going, and by his example, gave us so much to emulate. The (CBC) joins with members of the press from around the country to mourn the loss of George E. Curry, a pioneer in Civil Rights and journalism. “George E. Curry was a giant in journalism and he stood on the front lines of the Civil Rights era and used his voice to tell our stories when others would not. The CBC offers our sympathies and condolences to his friends and family, his readers from around the country, and to the countless number of individuals he mentored in the art of reporting and journalistic writing until his untimely death. George Curry was the most respected voice among black publishers. Curry was passionate in developing the next generation of black journalists for NNPA, and developed NNPA programming for HBCU students which are still used today and was an invaluable asset to the success of 2016 NNPA Foundation Program in Houston this year. 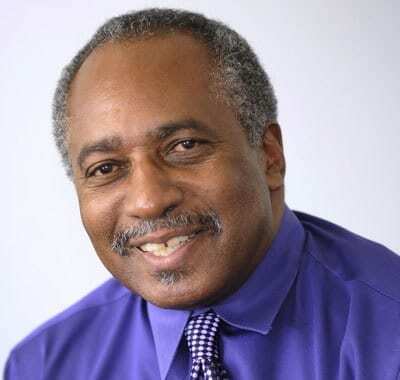 George Curry was revered as a talented journalist who advocated strongly for HBCUs. He believed they are indispensable based on degrees conferred, especially in the disciplines of physical, mathematical, biological, and agricultural sciences. As a son of the South, he identified with the struggle and was un- apologetic as a steward through his commentary, reporting, and as a syndicated columnist. The black community and the nation have lost a powerful voice. Rest my friend! George E. Curry, a champion of the black press! Affiliated with Emerge Magazine, National Newspaper Publishers Association, NABJ and so many more national organizations and causes! An activist through pen and paper! A national leader and friend that even with his busy schedule reached out to me several times since I have been in Miami. Rest in peace.